Girls will be girls and Eleanor Hancock has emulated that in her fabulous 'Girls' collection, with gorgeous illustration. 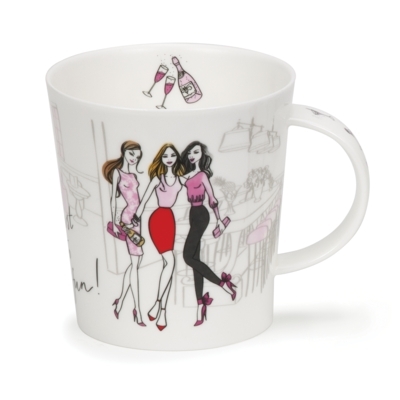 Girls just want to have fun in this design with cocktails and champagne on show. After gaining a First Class degree from Loughborough University in Printed Textiles, Eleanor worked within the fashion industry for ten years selling her designs internationally to many fashion houses - she loves seeing people in her prints when she�s out shopping! Moving into the greetings and gift industry, Eleanor set up her own business, which gave her the freedom to take on many different and exciting briefs. Over the years her work has appeared in numerous publications from Elle to American �Vogue Girl�, and she�s even been described as a �Mumpreneur� in the national media. Her chief strength is line drawing, and she has never been far from a pencil as long as she can remember - it is at the heart of all her work.